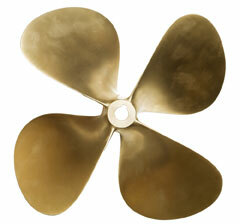 Millers Island Propeller is located in Sparrows Point Maryland, at the junction of the Patapsco River and the Chesapeake Bay, Millers Island Propeller has been serving satisfied customers since 1971. As a family owned business steeped in pride and tradition, Millers Island Propeller provides superior products and unrivalled service. After beginning its business as a foundry and propeller reconditioners, the company's capabilities have expanded to include a machine shop and distribution services. In 1999, the purchase of the historic Bethlehem Steel Wire Stranding Mill was completed increasing manufacturing and warehouse space to 55,000 Sq.Ft. with rail service.